It's the end of February and we've been having so much fun here at Silhouette School that I blink and the month's over and it's time for another Silhouette tutorial wrap up. 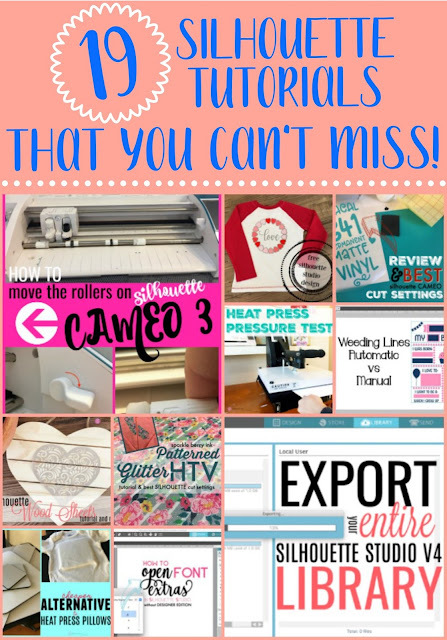 In February I shared a bunch of free cut files in the Freebie Friday series, showed how to export your entire library in Silhouette Studio V4, reviewed Silhouette Wood Sheets, shared a cheaper alternative to heat press pillows and we had some awesome product reviews. In case you skipped school (shame on you), here's a recap of February's lesson plan. 6. Cheaper Alternative to Pressing Pillows: Pressing Pads!